This article will walk you through adjusting your settings so that you can view up to three months at once in the Month view. 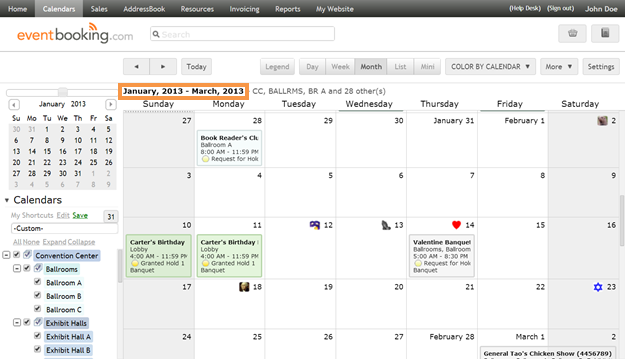 Click Settings in the upper-right of the calendars page. Click Layout on the left side of the page. 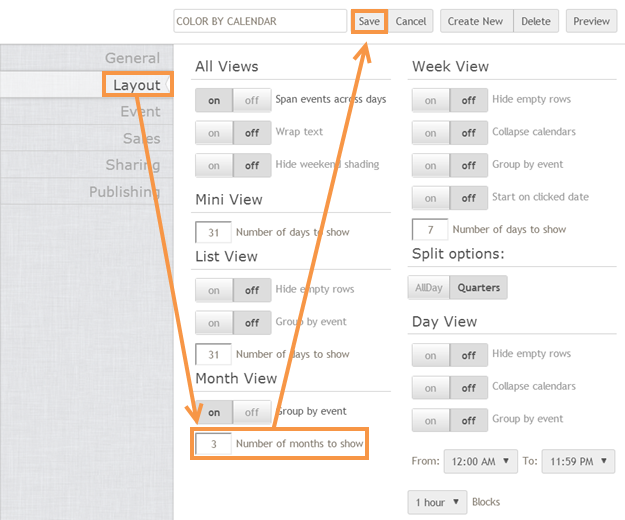 Enter the number of months you would like to view at once (up to 3) in the box next to Number of months under the Month View heading. You are now viewing the desired number of months on a continuous calendar.